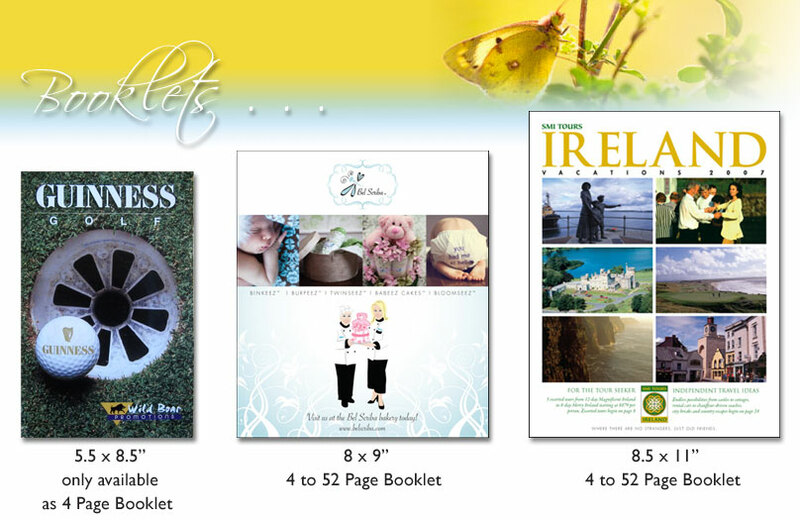 4 to 52 Page Booklets are available on 100 lb Dull Book, 100 lb. Gloss Book or 100 lb. Gloss Cover. Also available with no coating, aqueous coating or satin AQ. Normal printing turn-around time is 5-7 business days, plus shipping. Please contact us to schedule an appointment look at our design samples and paper stock samples.